I've wondered when Amazon would join Google and Apple in the quest for entry into streaming music. According to Greg Sandoval at The Verge they are now talking to major labels about the possibility of something along the lines of Spotify, a streaming music subscription service like Google's building, as opposed to a web radio approach as Apple is investigating. There's not much to go on yet but now the big three are all moving forward in their own way. 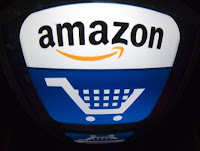 "Amazon, the web's biggest retailer, is the latest to inquire with various music companies about starting a subscription service, multiple sources have told The Verge. Details are few and the talks have been described as very informal, the sources said. But so far, what Amazon has shown an interest in is an on-demand service that sounds pretty similar to Spotify, generally considered the sector leader." If the headline is correct, these "music companies" are "record labels" and that means major labels because who else would they be talking to at this stage? "If Amazon decides to launch a subscription music service, it already has much of the infrastructure needed, including cloud music storage and its Cloud Player, which allows customers to stream songs from Amazon's servers." Though sales of MP3's on Amazon have always been an also-ran to Apple's iTunes, Amazon has long been the online powerhouse for CD sales. But Amazon has continued to improve its Cloud Player service including licensing deals with major labels and indie music companies. Their AutoRip service has also involved licensing deals and offers further enticement for CD shoppers to think of Amazon for music streaming. 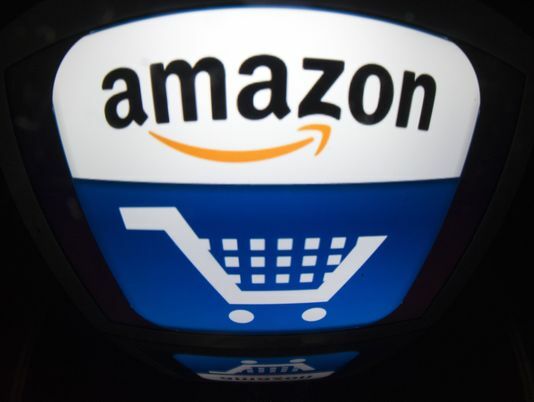 So Amazon is developing relevant technology, relationships with major labels and finding ways to entice consumers who may not tradtionally think of Amazon as a source for digital music. Then again, Amazon is estimated to have 16% of the digital market making them second to iTunes. They also provide a wide range of MP3s for free as well as digital albums which are a mixed bag but include a number of samplers from solid labels. In addition, Amazon has been offering free promotional streams of new albums such as Dido's latest for some time now. Of course, Amazon is also growing a streaming movie service. And they have a history of putting money into efforts that may not be profitable for many years and are sometimes developed in order to profit elsewhere. Would You Want to be Competing with Amazon, Google and Apple? Amazon, Google/YouTube and Apple all have major advantages over companies like Spotify and Pandora. They have a lot of money and, given that part of the streaming music game will simply be one of survival, they can outlast any of the current competitors if they so desire. That's not to say game over by any means but streaming music has definitely entered a much more difficult phase for everyone involved except the major labels who have rights to the most popular content and whose role in digital music is often ignored in attacks on companies like Google and Apple. Since the major labels have ownership stakes in Spotify, that's the service with the strongest chance of keeping up with the big three.